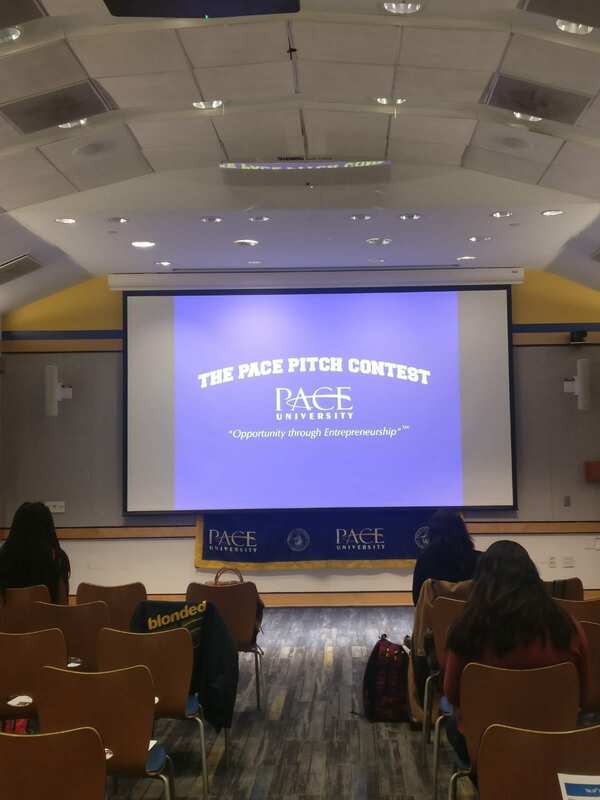 The fourteenth annual Pace Pitch Contest is underway and we are proud to announce that the finalist teams are packed with talented Seidenberg students! Run by the Entrepreneurship Lab at Lubin School of Business, the Pace Pitch Contest challenges teams of students not just from Pace but from other universities around the tri-state area (including Columbia, Harvard, MIT, NYU, Princeton and Stanford) to not just come up with a cool new business idea but to pitch it successfully to a panel of judges. This competition is not for the faint of heart! 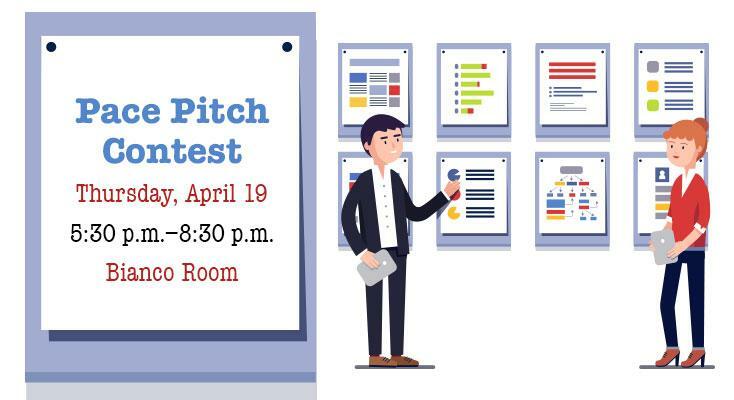 The Pitch Contest is based on the Elevator Pitch concept, popular in the venture capital community. It is an extremely concise presentation of an entrepreneur’s idea, business model, marketing strategy, competitive analysis, and financial plan, which is delivered to potential investors. 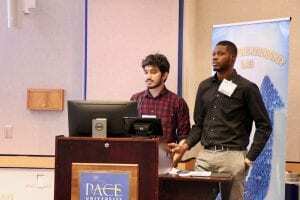 The premise is that it could be made in a few minutes, should the entrepreneur spot a potential investor on an elevator and have the opportunity to pitch their idea during the brief ride. The final round will be held TONIGHT, Thursday, April 19, 2018, from 5.30pm to 8.30pm in the Bianco Room, One Pace Plaza of Pace University. 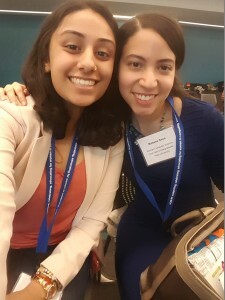 Last year, Seidenberg superstars Rachel Gonzalez (MS in Information Systems), Andrew Ku (BS in Computer Science), and Rohana Sosa (BS in Computer Science with minor in Computing Information Technology) took the top spots by pitching their ideas for meditation and artificial intelligence-infused security. Read more about it in the 13th Pace Pitch Contest blog post! There are a lot of areas teams will be evaluated on during their pitches. Business Description: Details of the venture and what it does. Market Analysis: Characteristics of the market and description of its customers. Product or Service Analysis: The specifics of the product or service. Competition: Identify current and potential competitors. Marketing Strategy: How sales will be achieved. Operations: How the product or service will be produced and delivered. Management: An assessment of the entrepreneur(s) and team. Finances: An overview of the required resources and economics of the venture. Investment Proposal: The terms and conditions offered to investors. Assessing the Need: An analysis of the social issue and its affected population. Well-defined Target: Characteristics of the market and targeted population. Creativity: A demonstration that the proposed solution displays a unique approach. Feasibility: A demonstration that the venture can be successfully implemented. Planning: A clear and well-defined strategy to achieve objectives and goals. Operations: How the product or service will be physically produced and distributed. Participants must work on both New Business Concepts as well as Social Ventures to make their venture a success in the final round. 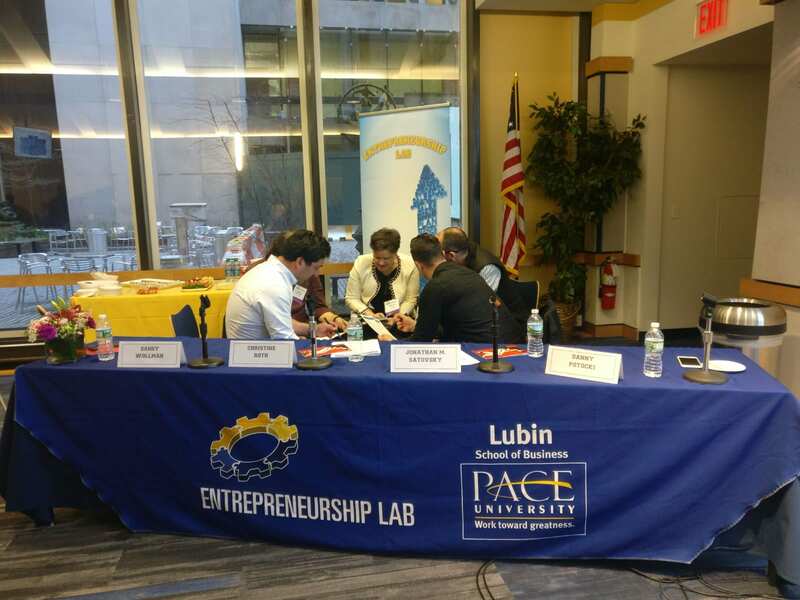 Professor Bruce Bachenheimer, Executive Director of the Entrepreneurship Lab, oversees the contest. Jonathan M. Satovsky, Founder & CEO, Satovsky Asset Management, LLC. In total, we have 9 Finalist teams for the contest with around 2 – 3 participants in each team. They have come up an idea to combat food waste from restaurants and share the food to nonprofit organizations like orphanages and homeless shelters. Their focus is building a bridge between restaurants and nonprofit organization and giving the food to the people in need. Sanskrit origin meaning – Overall well-being, the health of mind, body, and spirit). It’s been observed that around 251,454 people die due to lack of information about background history and wrong treatment annually. So the application maintains the patients’ medical history, and which coordinates with different doctors and helps them to collaborate to cure patients. Cuddlefish is a blockchain based platform which aims to promote financial inclusion for all through microfinance funded by retail investors in developed countries. Capturing and keeping tangible mementos of your favorite interests has been around for years, from sports cards to niche entertainment references, trading cards have been collected and enjoyed by young and old individuals for years. The team developed iCards that seeks to revolutionize the game, fully integrating the best parts of the industry into a comprehensive, universal platform to trade, play, and collect cards. Redact is a legal organization that works with individuals who have been convicted of a crime to have their criminal records sealed. Redact’s mission is to unshackle those New Yorkers from the stigma and disabilities that come after a criminal conviction will give a segment of society the chance to get back on their feet. RockBox delivers handmade cocktails from all over the world to the customers’ doorstep. With monthly subscriptions, customers will be provided with the alcohol, bitters, mixers and fresh produce needed to create their own boozy beverage. RockBox plans to target professional millennials who enjoy drinking alcohol and take pride in crafting their own cocktails from the comfort of their home. WOTOPA is a platform where campus students can buy, sell, donate, offer services and can build inter university network by exchanging ideas and collaborating via forums. WOTOPA aims to be one stop solution for buying, selling, promoting and collaborating under one roof with safe, secure and easy to use environment for Students. It is a Business-to-Customer (B2C) software startup focusing on augmented reality (AR). 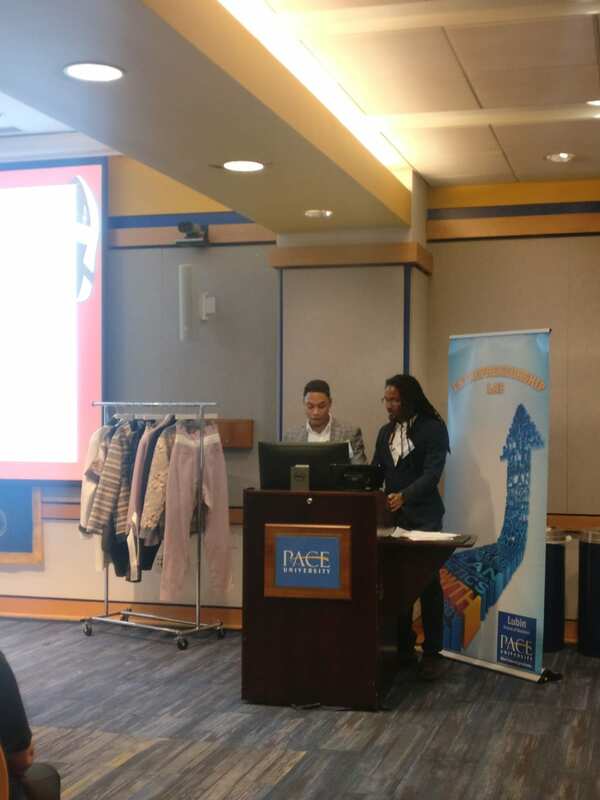 The software program allows users to explore Pace University via mobile application, without having to attend a scheduled tour, meaning that – it allows the user to interact and explore the facilities of Pace University, without having to be physically present. Up for grabs is a 1st Prize of $1000 Cash, 2nd Prize of $500 Cash and the 3rd Prize of $250 Cash. 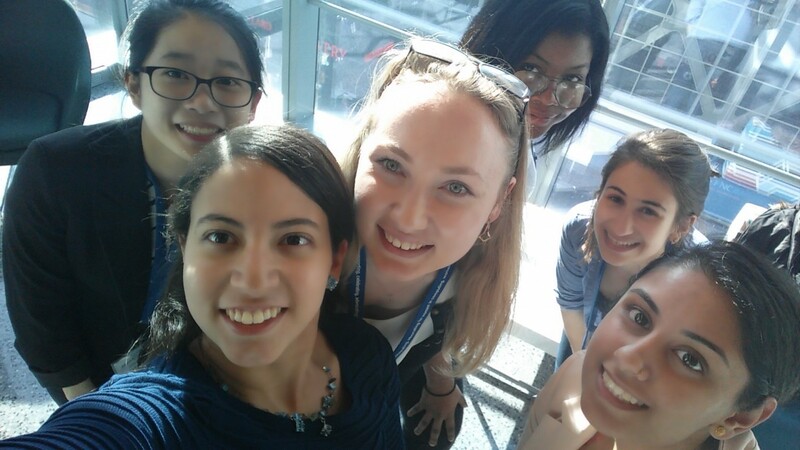 The Seidenberg School of CSIS wishes all participants the best of luck in the contest! Gianna Sorrentino is double majoring in an awesome combination: Computer Science and Criminal Justice. With a graduation date of 2019, we can’t wait to see what she gets up to over the next few years! We asked Gianna to tell us about the classes she’s taking this semester. She’s in CS 271: Fundamentals of Unix, taught by Professor Paul Benjamin and CS 242: Data Structures and Algorithms, taught by Dr. Miguel Mosteiro. In CS 271, the focus is on the fundamentals of Unix. This multitasking and multi-user operating system offers a simple set of tools that perform a limited, well-defined function with a file system that is used as the main source of communication. 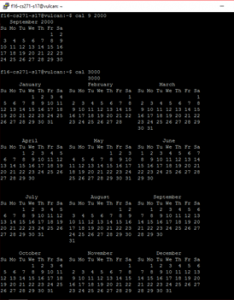 Depending on what task you are trying to complete, Unix can be used to get it done! One of their class projects was to work on basic commands. Gianna was able to make a print out calender (pictured) for any month of the year by typing in “cal” followed by a month and/or year. She also got the program to perform cool tasks using a simple command of the word ‘echo’ followed by different combinations of words. 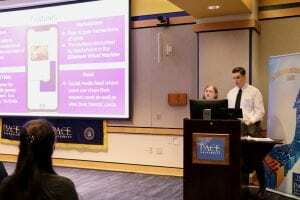 “By typing in ‘echo’ followed by different phrases in brackets separated by commas, it can print out all of the combinations of words,” Gianna said. In CS 242, the main focus is understanding running time scenarios and the most efficient ways to run a program. The goal is to find a way to complete the task both in the least amount of time and to do so correctly. 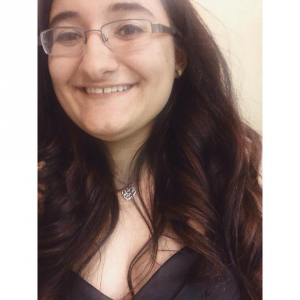 In her freshman year at Pace, Gianna learned how to code. In this class, she is learning to use code more effectively. 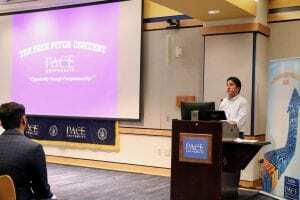 Professor Mostiero assigned his students a snippet of code and gave them the task of understanding it and then running it. Each user was made to input a list and then that specific program gives them a running time, in nanoseconds, of how long it took to search the list. Pretty cool! Thanks to Gianna for taking the time to talk about her classes with us. Keep up the great work!